Last night, Captain Marvel tickets went on sale everywhere, helping ensure MCU fans that they’d get their opening night seats for this intergalactic new adventure. Along with that came new footage featuring Carol Danvers’ deadly photon blast attack. Watch the exclusive look at Marvel Studios’ Captain Marvel, which aired last night on ESPN during the 2019 College Football Playoff National Championship game between the Clemson Tigers and the Alabama Crimson Tide. Tickets to Captain Marvel are on sale now everywhere tickets are sold. Marvel Studios’ Captain Marvel will open in U.S. theaters on March 8, 2019. Atom Tickets were first to announce that tickets for Captain Marvel had gone on sale. They are making it easy for fans to snag tickets and invite friends to join them a whole two months before the movie even makes its big screen premiere. Atom Tickets is enabled on over 21,000 screens in the United States. Fans can search for films instantly, invite friends, buy tickets, reserve seats and even pre-order concessions using the mobile app. Fandango and other ticketing outlets are also now open for business. Both Fandango and Atom Tickets conducted a survey amongst moviegoers, with Captain Marvel only coming in behind Avengers: Endgame as the most anticipated movie of 2019. Brie Larson, who plays Carol Danvers, is also being sited as the top actress for this year. This latest sneak peek at Captain Marvel is full of exciting new footage, and shows more of the friendship that is happening between Carol and Nick Fury. There is plenty of space action and a lot of humor. Nick Fury even sets up future events in the MCU, as we learn that this is his first encounter with a superhuman individual. Though, he seems to know the fate that lies ahead. 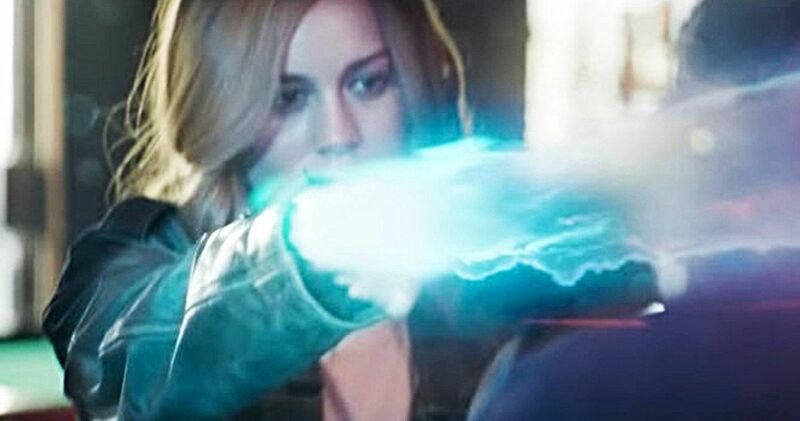 Captain Marvel will help further set up the events that will be seen in this summer’s Avengers: Endgame, with Brie Larson set to reprise her role in that epic superhero adventure.